Plug-ins rev up, but are consumers ready? 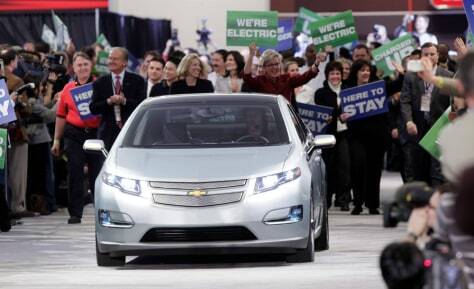 A Chevrolet Volt at the North American International Auto Show. Automakers are leaping into plug-in technology. One hurdle for buyers: the price.